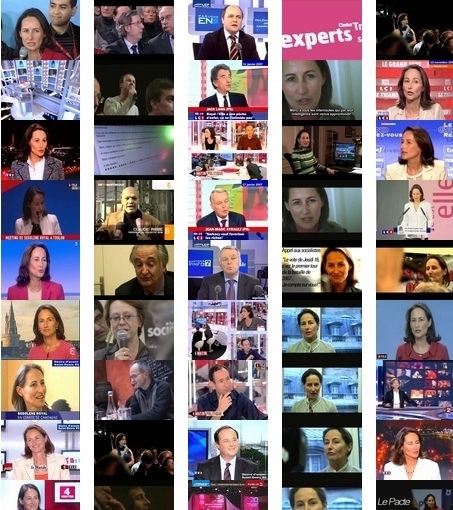 Rather taken by Segolene Royal's video section on her presidential campaign web site. There's a nice video wall come montage (see the screen clipping below) where you can choose to point your mouse over an image to see the video in miniature or click on it to see it in a larger size. Personally, I think it looks very good. I am also rather taken by the idea that you can sign up to join the "e-militants"! Just wish I could speak French, but while not being on the absolute cutting edge Segolene looks a better draw than dreary old "Dave" Cameron's efforts.